The owner of Chattes Noires and the commander of the Paris Assault Force. She has channels to the French government. She is a very calm mature woman, yet has a sharp tongue. She has a black cat named Napoleon. She wants to make Ogami into a gentleman. 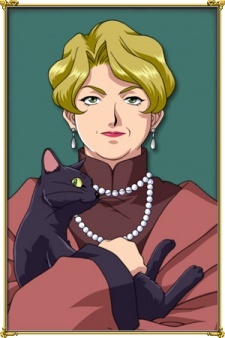 In Sakura Wars 3, if Ogami gains enough trust points from her, she tells Ogami about her late husband.